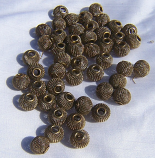 We have all kind of indian beads made of glass, metal, wooden, copper, brass and plastics. in all design and size. 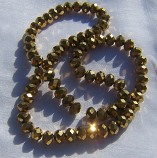 we keep update new designs of beads, which are mostly used in costumes and jewellery. 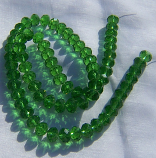 colors and size are depend on availability the items we uploaded are in stock currently with us. but we can get you some other colors and size in wholesale price.